Kaiserin von Russland (1729-1796). 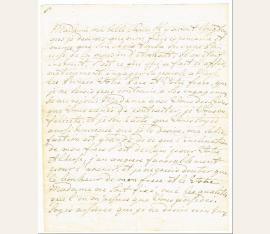 Autograph letter. Kiew. 3/4 S. 4to. Mit Adresse und Siegel. 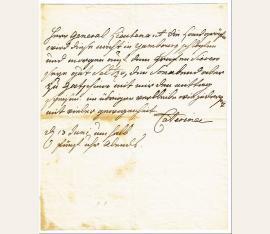 One of Catherine’s rare letters in German language; to princess von Lieven, born von Gaugreben, the governess of Catherine’s granddaughters, telling her how happy she was that the children had not to came down with measles and should now be brought to the countryside for the town itself were still contaminated with measles and pox. - Of utmost rarity. Kaiserin von Russland (1729-1796). Letter signed. Mstislavl (Weißrussland). 4to. 1 S. Beiliegend adress. Umschlag. 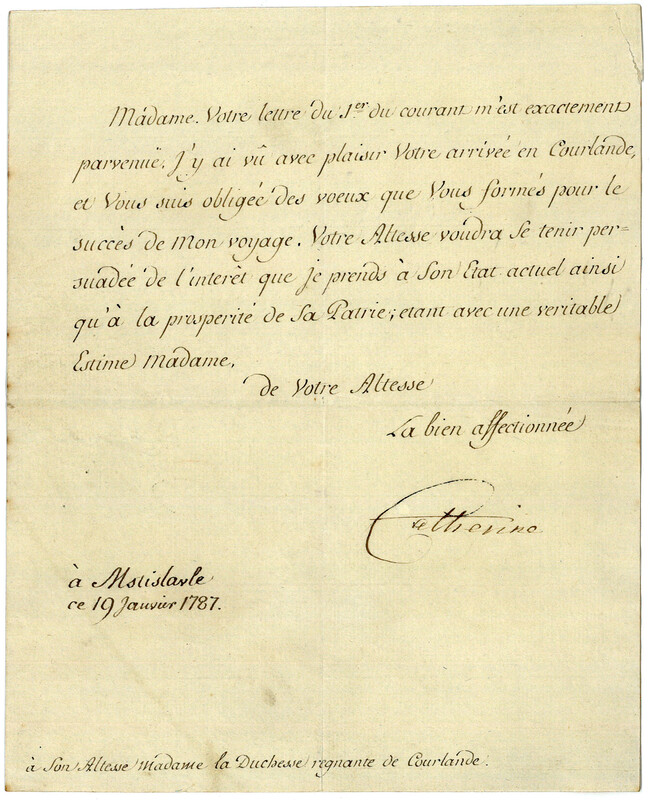 To Dorothea of Medem, Duchess of Courland (1761-1821), acknowledging the account of her arrival in Courland and thanking her for her good wishes on the success of her own journey: "Madame. 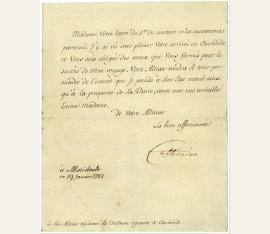 Votre lettre du 1er du courant m'est exactement parvenue. J'y ai vû avec plaisir Votre arrivée en Courlande, et Vous suis obligée des voeux que Vous formés pour le succés de Mon voyage. Votre Altesse voudra Se tenir persuadée de l'interêt que je prends à Son Etat actuel ainsi qu'à la prosperité de Sa Patrie [...]." - Traces of contemporary folds. Kaiserin von Russland (1729-1796). Autograph letter signed ("Caterina“"). O. O. 2/3 S. Kl.-4to. 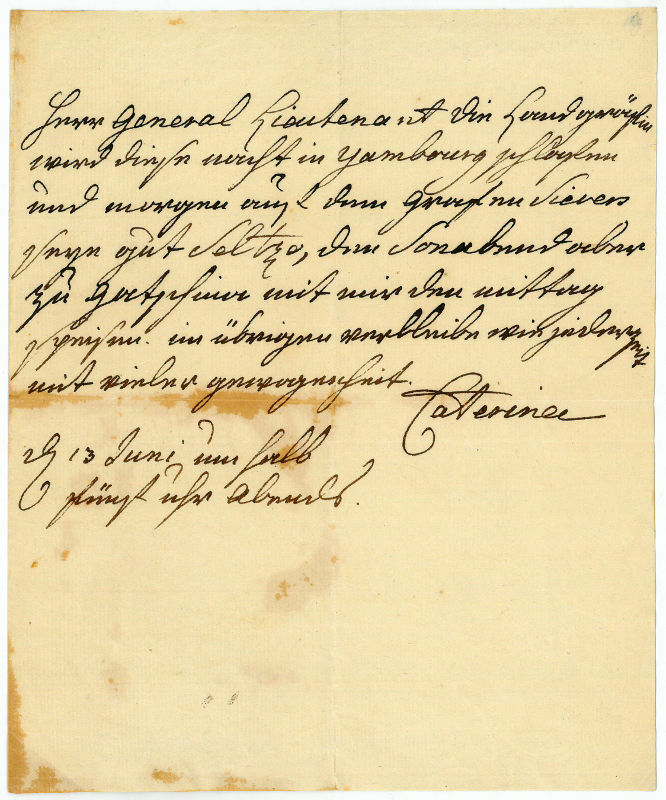 To Lieutenant General Friedrich Wilhelm von Baur, giving instructions for the visit of the Countess Palatine Caroline of Deuxponts, whom she had invited together with three of her daughters to find a fiancée for her son, the future Emperor Paul I of Russia. The visit had been a success: Paul was to marry Caroline's daughter Wilhelmina Louisa the very same year. 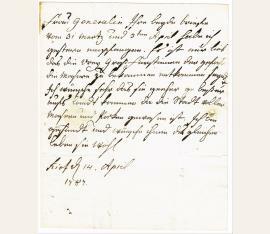 Eigenhändiger Brief mit Unterschrift „Caterine“. 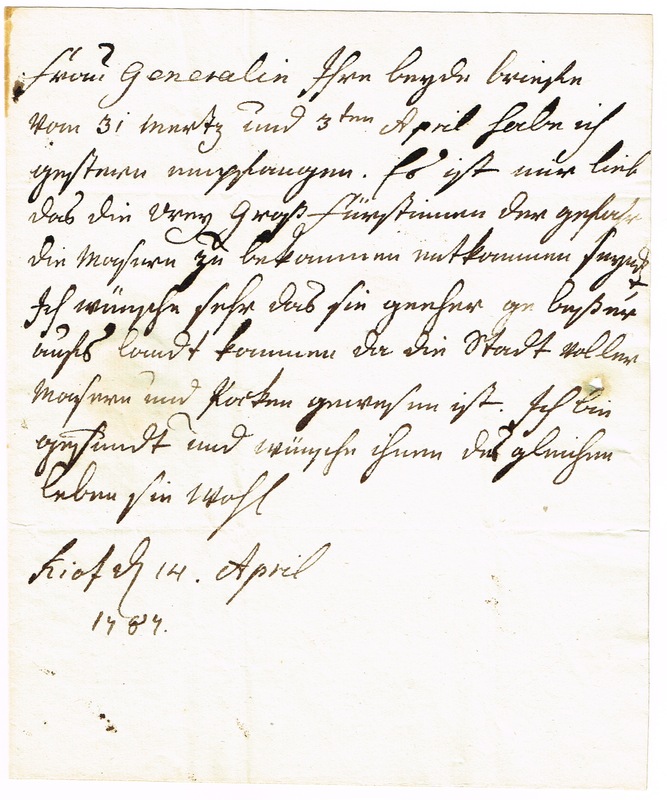 Eigenhändiger Brief mit Unterschrift „Caterina“.